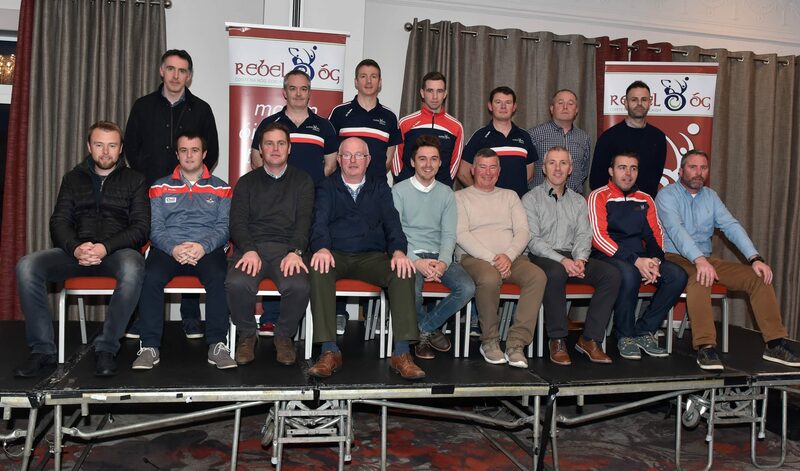 On Sunday the 25th November a large crowd of players, mentors, parents and family members gathered in the Clayton Hotel Silver Springs Conference Centre for the 2018 Rebel Og Cork Squads and Regional Squads Medal Presentations. Mr John Purcell, Chairman of Coiste Na Nog gave the opening address, he welcomed everyone along to this special occasion where the young players from the different squads both regional and county were being presented with their medals from different competitions during 2018. Our second speaker of the afternoon, Ronan Dwane Coaching Officer with Cork GAA took to the podium and outlined the work being done at underage level and how these teams were just a small example of the work being done in Cork. 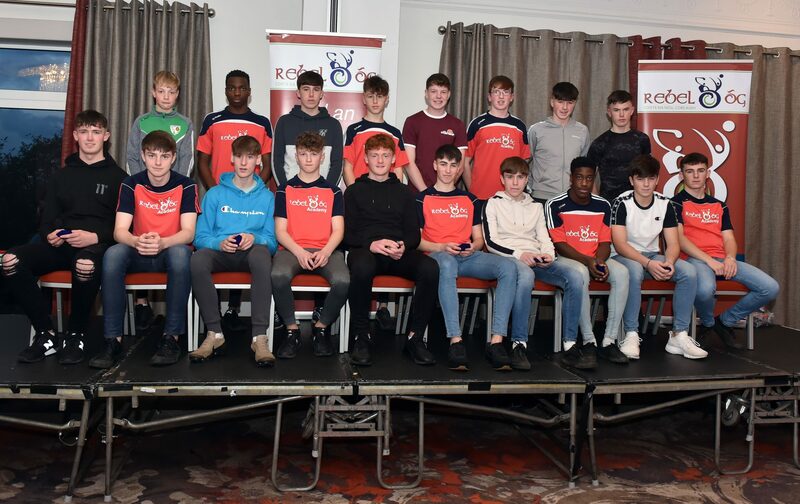 Our key note speaker on the day, Mark Collins, Cork Senior Footballer was well received when he spoke about the squads and his own experience coming up through the underage squads in Cork. He spoke about the work and effort players must put in to get to the next level and how listening to your mentors and coaches would improve your own game and standards. He recounted his own journey to where he is now and how friendships would be made through the GAA. 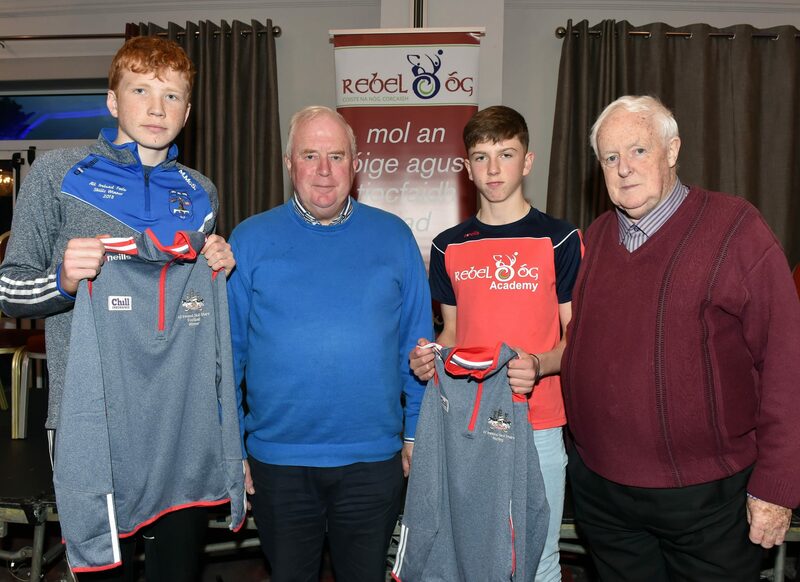 When Mark finished speaking it was time to present the medals to the teams and we started with our U14 A & B Hurling teams who won both the Tony Forristal and Sonny Walsh tournaments. 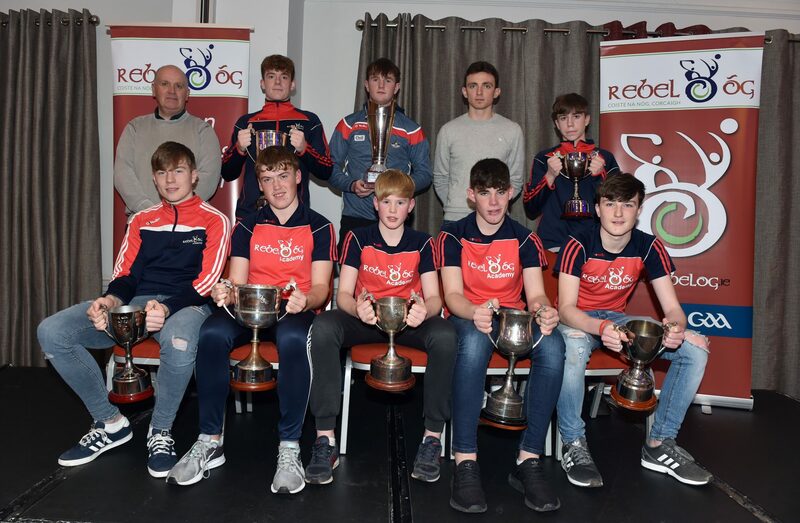 Colm Crowley GDA spoke about the team and the work they put in during the year as they received their medals from Cork Minor Hurling Manager John Considine and had their photos taken. 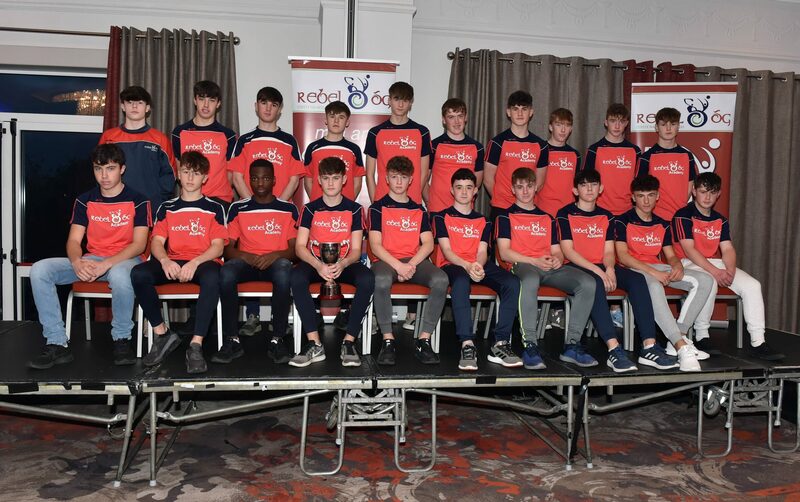 We then moved on to our U15 West Regional Football Squad who won the national competition, The Adam Mangan Tournament held in Offaly. 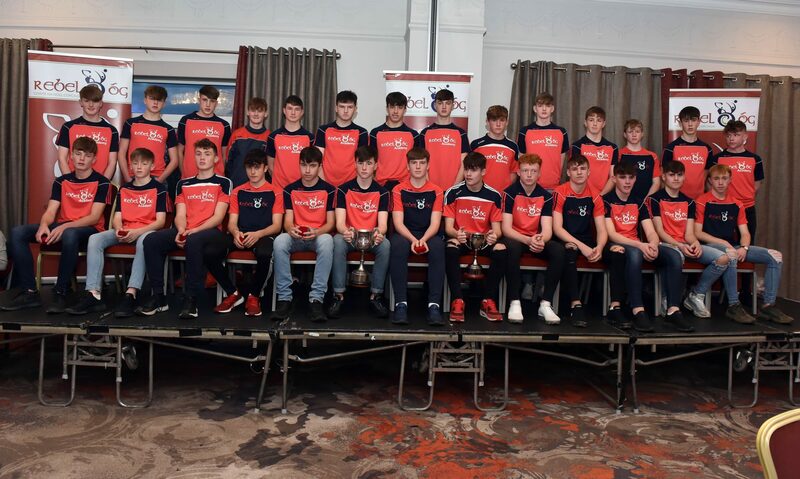 Cork Minor Football Manager Bobby Dwyer presented this team with their medals before they had their photo taken. 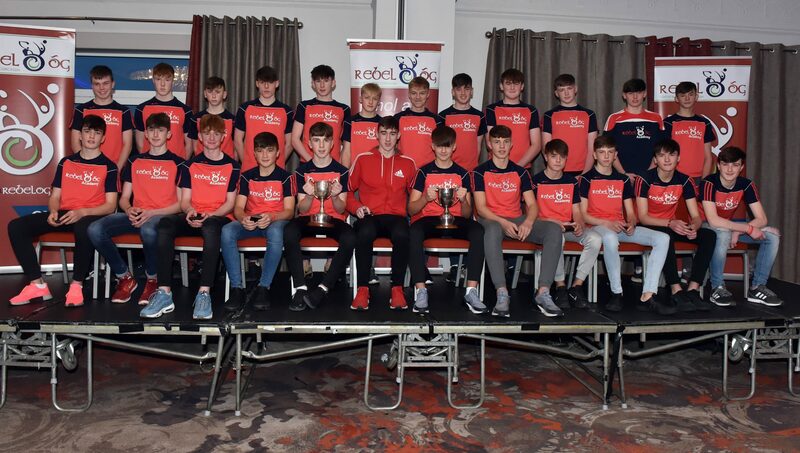 This was followed up by a presentation to our U15 East Hurling squad as they received their medals from Cork Minor Hurling Manager John Considine and had their photos taken. John Purcell Chairman of Coiste Na Nog and Jim Healy Secretary of Coiste Na Nog then made a presentation to our Cork Féile Skills winners Diarmuid Healy in Hurling and Michael McSweeney in Football where they represented Cork in the National Skills Competition where Michael came joint first in the overall countrywide competition. Our next presentation of medals was to our Cork U15 B County Hurling squad who had two great results over Tipperary and Galway to win out the B tournament. 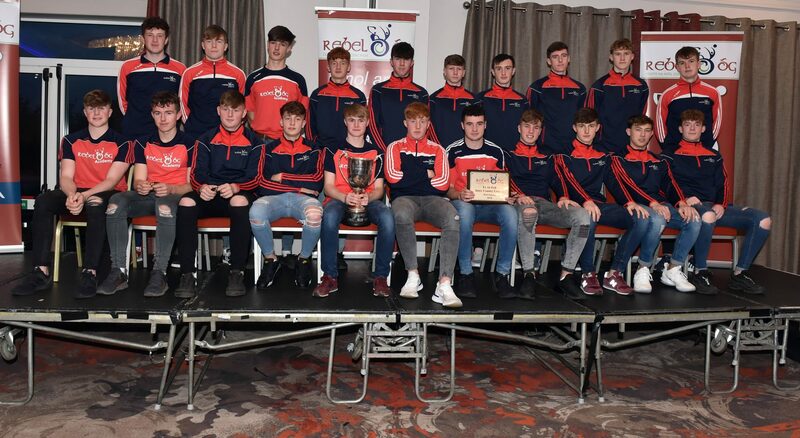 Both performances were excellent on the day, they received their medals from Cork Minor Hurling Manager John Considine and had their photos taken while Stephen Higgins spoke about the team and their progress during the year. 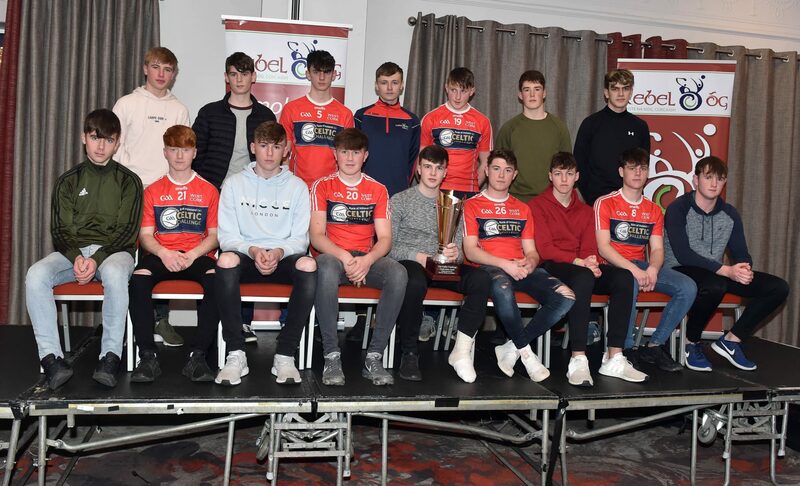 We then moved on to our U17 West Celtic Challenge Squad who won the Corn John Scott Final in Bord Na Mona O’Connor Park beating South Tipperary to claim the title. 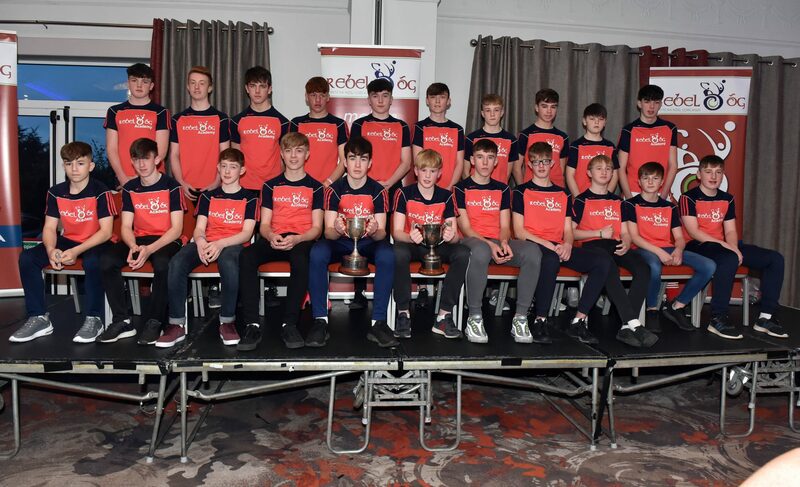 They received their medals from Cork Minor Hurling Manager John Considine and had their photos taken. Our final presentation on the day was to all our mentors who had done so much work with our squads and teams and it was only fitting that they too should receive the recognition for all their hard work during the year. Ronan Dwane Coaching Officer with Cork GAA made the presentations to our mentors While Kevin O’Callaghan Games Manager with Cork GAA spoke about our Games Development Administrators, Paudie O’Brien, Sean Crowley, Pat Spratt, James McCarthy, Colm Crowley and Shane Supple and the structures they work with in Cork. With that our official presentations were concluded. A big thank you to all players, mentors, parents, family members and friends who turned up on the day for our medal presentations. We must also thank the staff at the Clayton Hotel Silver Springs. 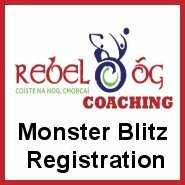 To Rebel Og, Coiste Na Nog and PRO Rory Noonan for all the work behind the scenes. To our team of GDA’s Kevin O’Callaghan, Paudie O’Brien, Sean Crowley, Pat Spratt, James McCarthy, Colm Crowley and Shane Supple for all their work during the year and on the day. 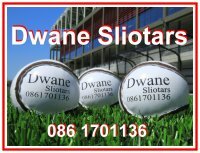 To Cork GAA for all the support they provide to our younger players, Ronan Dwane Coaching Officer, Bobby Dwyer, Minor Football Manager and John Considine, Minor Hurling Manager, Mark Collins, Cork Senior Footballer for his key note speech on the day and photographer Eddie O’Hare for providing us with some great team photos, we say thank you.